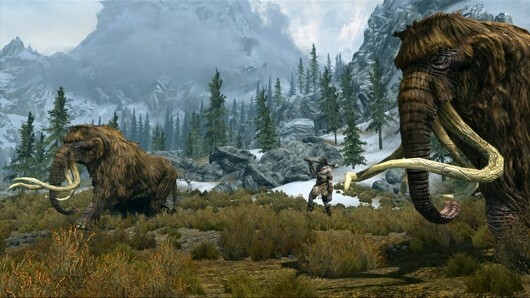 Now, we don't want you to get your adorable little hopes up, so keep the indefinite nature of the universe in mind when we say that Bethesda's VP of Marketing Pete Hines has told Official Nintendo Magazine UK that a Wii U port of The Elder Scrolls 5: Skyrim is "definitely a possibility." Hines said that Bethesda will "look at any platform" that can support the studio's games as they are designed, meaning that Nintendo's latest would have to be able to support the weight of a full port, rather than a system-exclusive approximation. In related news, the world record for simultaneous Skyrim boners was shattered 24 seconds ago as the entire Wii U community joined the tally.